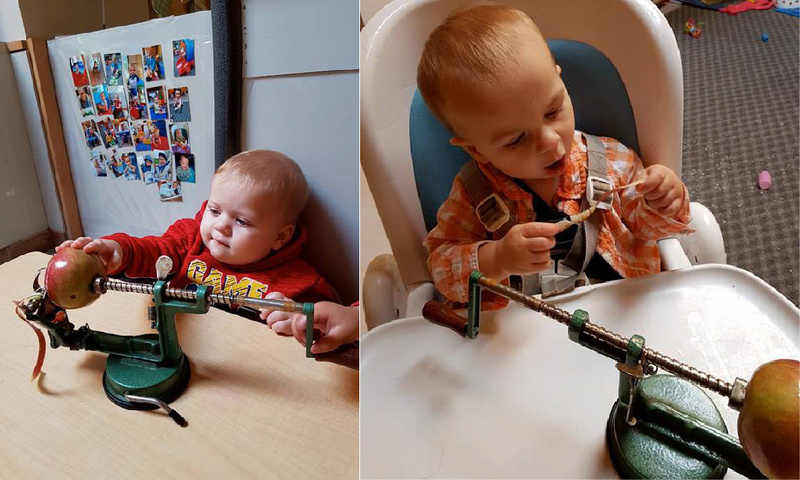 Recently at Trent Child Care, what started out as a seed of an idea; an opportunity for exploration, grew into something bigger … and delicious. Lisa works as an RECE in the infant room and noticed that one of the youngsters kept saying the word ‘apple’ whenever he saw one. Following his lead, she decided to bring some apples into the classroom for him and the others to explore. They loved watching her peel the apples and then eating the fruit so much that Lisa decided to take this one step further and make apple crisp with them. “The feeling of belonging is the warmth of being around others." The children most surely felt this warm sense of belonging as they sat with their friends and took turns putting apples into their own tin plate and mixing the topping to sprinkle over them. 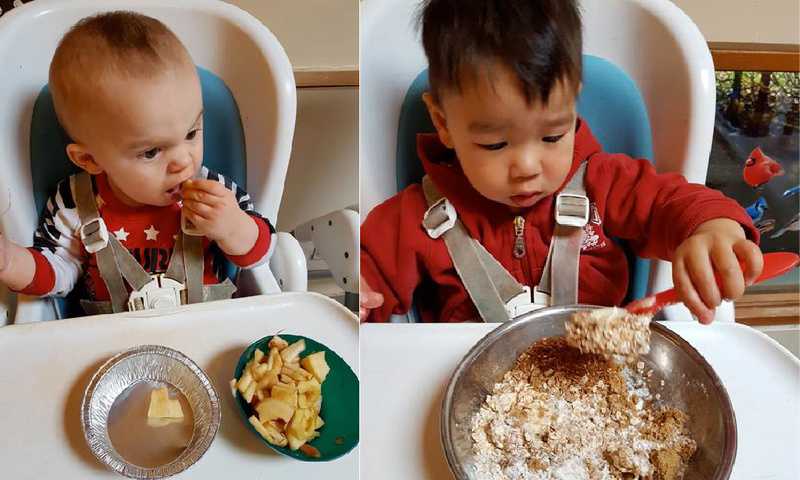 They munched on the fruit as they learned, through experience, about measurements, turn-taking, sharing, and how food can bring people together. Afterwards, they all enjoyed the premade apple crisp that Lisa had brought in while she packed up their individual tins to bring home and share with their families on the weekend. Along with their crisps, Lisa included the recipe. The following week, some of the families let her know that they had already tried the dessert at home. For Lisa, the core ingredient of belonging in her recipe is the smell of all the ingredients together. The spirit of home and belonging can live anywhere. Just add food.